The blooms on this Cattleya range from two to four inches in size, whereas the blooms of other Cattleya species can be up to eight inches across (or more)! Beautiful, isn’t it?? 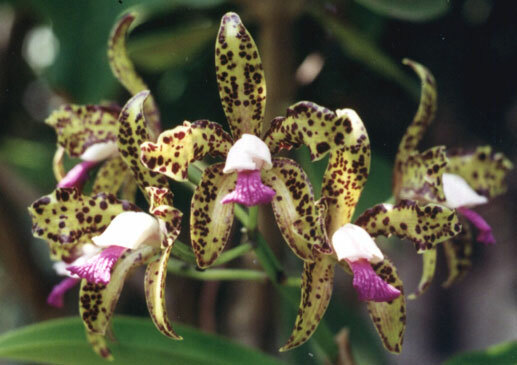 Many Cattleya flowers are two-toned in color or are monochrome with a sort of watercolor-esque feel. So it’s fun to see a Cattleya variety with unexpected markings like this one’s speckles. Just got home from the Orchid Show at the NYBG — and it was awesome! The weather is truly FOUL out there, rainy and super windy, but luckily my friend has a car and drove us to the garden.